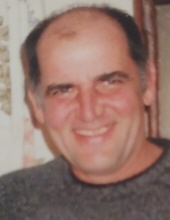 William Prisk, 59, of Freehold passed away at home on Sunday, January 20, 2019. He was born in Red Bank. He was an operating engineer and along with his wife operated BP Excavation Inc., Freehold. They also owned and operated Gloria’s Tree Farm in Manalapan. He was predeceased by his father, Albert Prisk and sister, Joni. Surviving are his wife, Eileen; his children, Kelli Bankert and husband Jeff, Nicole Nelson and husband Keith, Brian Prisk, and Tara Prisk; his mother, Carol Prisk; his siblings, Jack, Mary, Pat, Jeanne, and Judy; four granddaughters, Natalie, Noelle, Juliette, and Chelsea; and his dog Teddy. The viewing will be held at the Higgins Memorial Home, 20 Center Street, Freehold on Thursday from 4:00 to 8:00 p.m. Funeral services will be held at the funeral home on Friday at 10:00 a.m. followed by interment at Old Tennent Cemetery, Tennent. To send flowers or a remembrance gift to the family of William Prisk, please visit our Tribute Store. "Email Address" would like to share the life celebration of William Prisk. Click on the "link" to go to share a favorite memory or leave a condolence message for the family.